Workers’ compensation is a type of insurance that provides benefits such as lost wages or medical costs to employees who sustain a work-related injury or illness on the job. Workers’ compensation insurance is required for most employers in most states. Workers’ comp laws are dictated by state rather than the federal government. To review requirements in your state, check here. What costs can workers’ compensation insurance cover? 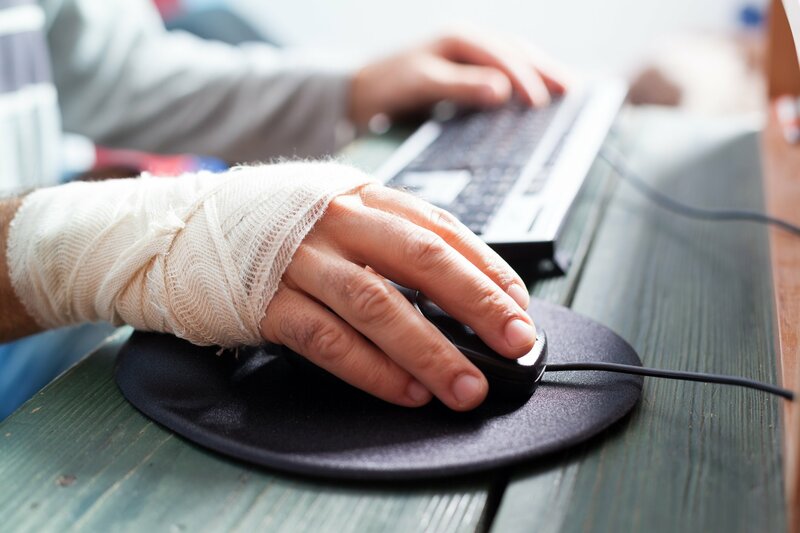 Generally an employee does not have to be injured at the physical worksite location to receive benefits, but rather they must be engaged in a work-related activity. For example, if Jim went to pick-up coffee for his boss, and he is injured in car accident in the company car on the way to get the coffee, Jim’s injuries could be covered by workers’ comp insurance. While he was not at the office at the time of the injury, he was engaged in a work-related activity while operating company property. Additionally, it typically does not matter who is at fault for the injury or illness, whether the employer or employee, in order to be covered by workers’ comp. Ordinarily, when an employee collects benefits from a workers’ comp claim, that precludes him or her from suing the employer for damages. There are exceptions to that rule. It is best to consult your state’s workers’ comp laws, workers’ comp plan details, or obtain legal guidance for more information.